This morning a company called HAL2000 is hoarding a high resolution image that support 16 billion pixels (1600 times better than a normal hi res picture from a SLR Camera) of the “Last Supper ” by Da Vinci. My first impression on this particular painting goes back to my school days at my hometown. At school before every test all of us un to the chapel to pray and also during the short periods of singing classes one gets to gaze at this awesome image with intrigue. It was Dan brown book ” The Da Vinci Code “ that really provided more information to non Christians like me about the background and the inner details of this painting. The book has been a best seller in maximum number of countries than any of the contemporary work. For those who have not read this book, there are more betters reviews of the same online . Then for the more curious people there is another book by Dan Burstein “Secrets of the code” that provides a non fictional code of the secrets of the infamous painting and the history behind it. More updates of the author can be found in this blog. Also i would like to recommend a BBC video called “Breaking the code” that is worth a watch. There has been so much of controversy related to this painting and also debates on the validity. 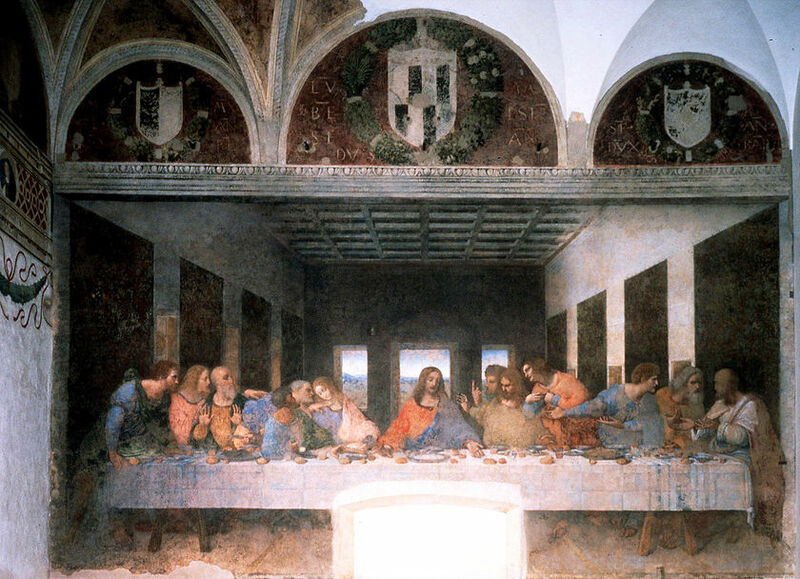 Latest among those is a theory that Leonardo da Vinci’s Last Supper might hide within it a depiction of Christ blessing the bread and wine with his disciples for the first Eucharist.